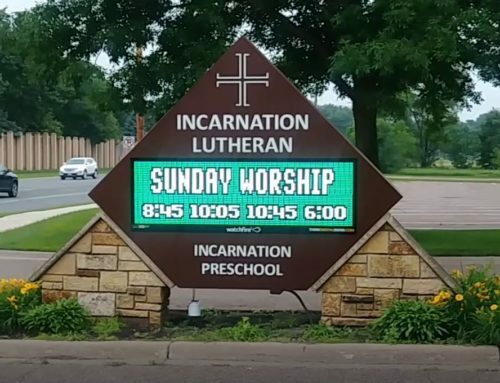 Richfield United Methodist Church had tried for years to get a message center installed with no luck. 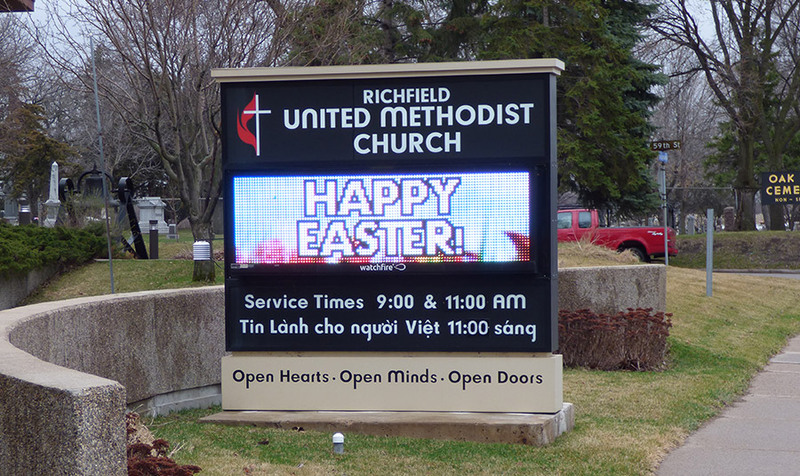 Think Digital Signs worked directly with the city to obtain Richfield United Methodist’s permit application approved. 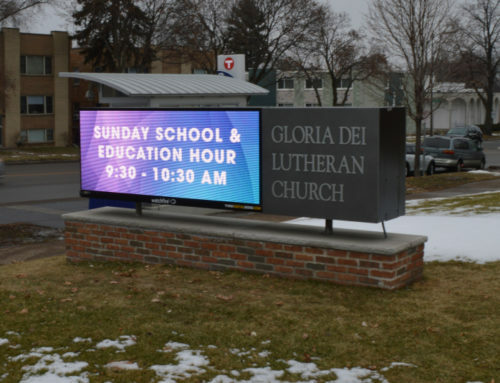 The message center provides Richfield United Methodist Church with a new youthful appearance. 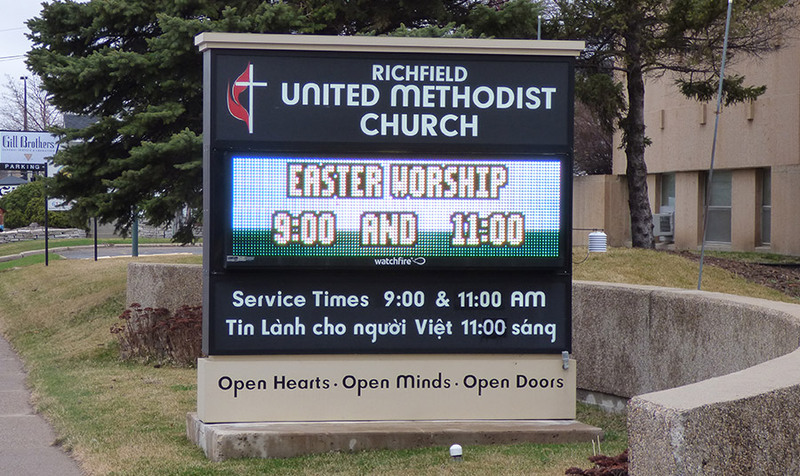 The message center provides Richfield United Methodist Church with a new youthful appearance. 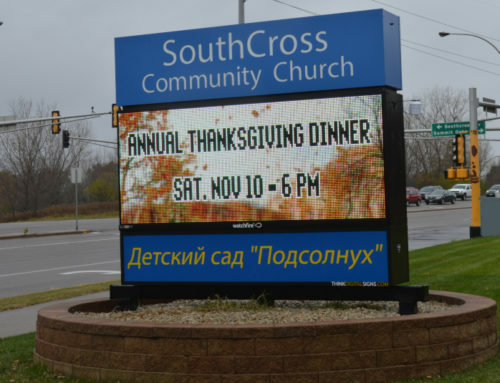 We have eight new young families that have joined the church since we installed the new sign. 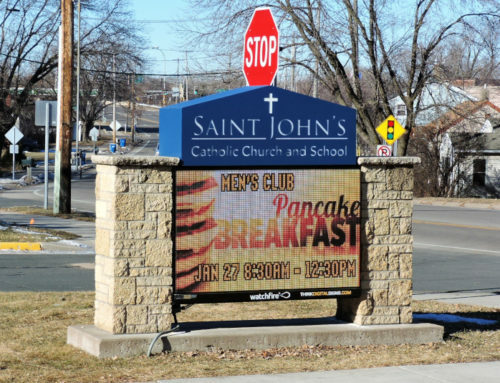 The spring end of year youth program was the largest that we have had in years.